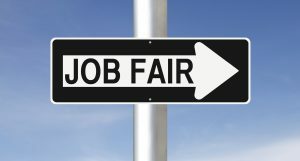 Central Arizona College invites organizations and businesses to participate in the 4th Annual Job Expo hosted by the institution’s Maricopa Campus (17945 N. Regent Dr., Maricopa, AZ) on Tues., February 12, 2019. The expo will run from 10 a.m. until 1 p.m. The last date to register for the expo is February 4. Space is limited for this event and will be assigned on a first-come, first-serve basis. For more information on how to register for CAC’s 4th Annual Job Expo at the Maricopa Campus or to obtain a registration form, please contact Mitchell by phone at 520-494-5428, or by e-mail at ann.mitchell@centralaz.edu.